Managing Individual Differences & Behavior: Supervising People as People 1.. Personality is defined by the psychological and behavioral traits. There are five dimensions to personality which management needs to be careful about, which are extroversion, agreeableness, conscientiousness, emotional stability and openness to experience. Other than this management also needs to be aware of five personality traits of its employees which are locus of control, self-efficacy, self-esteem, self-monitoring and emotional intelligence. Organizational behavior is a study which helps management to understand the people and their needs in a work environment and how to effectively manage the work force. Organizational behavior covers two areas of behavior which is individual and group. 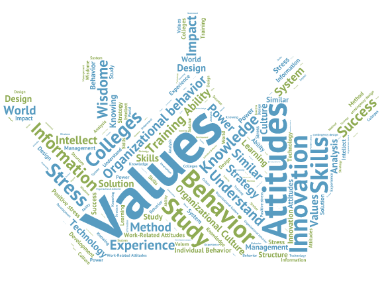 Values and attitudes are two different concepts than behavior. Values are somewhat we can call ideals and attitudes are learned predispositions toward an object. Attitudes have three components which are affective component, cognitive component and behavioral component. When combined these attitude and values affect employees’ workplace behavior, performance and attitude. The management needs to be attentive to attitudes and behavior of employees especially related to job satisfaction, job involvement and organizational commitment. The management of an organization needs to control the employees’ behavior in favor of organizations and influence them for performance and productivity; absenteeism; organizational citizenship behavior and counterproductive work behaviors. Perception can be defined as a process of interpreting and understanding one’s environment. The process can be broken in four steps which are selective attention; interpretation and evaluation; storing in memory; and retrieving from stored memory for making judgments and decisions. In decision making there are perpetual errors which can lead to a wrong decision. There are four types of distortion in perception which include selective perception, stereotyping, halo effect and casual attribution. The self-fulfilling prophecy (Pygmalion effect) is a phenomenon which describes that people expectation about their own self or others lead them to behave in such manner that they behave in certain ways to fulfill those expectations. Management needs to be careful about the stress in the work environment and employees behavior. Stress can be explained as tension faced when they are expected to meet extra ordinary demands, face certain constraints and opportunities in which they feel helpless. The stress at workplace can be broken into six sources like extra ordinary demands; the task itself is a source of stress, individual role demand, group demand, organizational demands and personal life demands. There are two types of stress, positive and negative. Positive stress can be constructive while negative stress can lead to problems in work and personal life. For reducing employees’ burnout management device administrative measures which help the employees to feel relaxed.